I really LOVE to bake. Fortunately, I really love to eat cookies, too. It’s a good match! Today I am going over to my mom’s for a dinner with her and my sisters. She told me not to bring something to share, as always, so I decided to whip up some of these delicious cookies to share. I made these a few weeks ago and my husband and I devoured them. Thankfully this time, we will have some help! Cream butter, sugar and brown sugar; add vanilla. Add eggs one at a time, beating well after each addition. Gradually beat in dry ingredients; stir in gems. 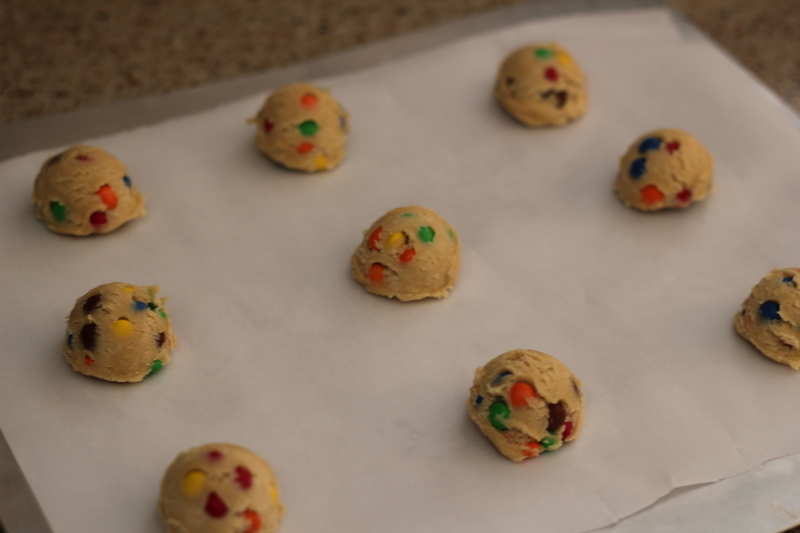 Using a cookie scoop or a spoon, put onto cookie sheets. Bake at 350° until desired doneness, about 8 to 10 minutes. I mixed the dough in the morning, as I like to let it set in the refrigerator for a couple of hours. 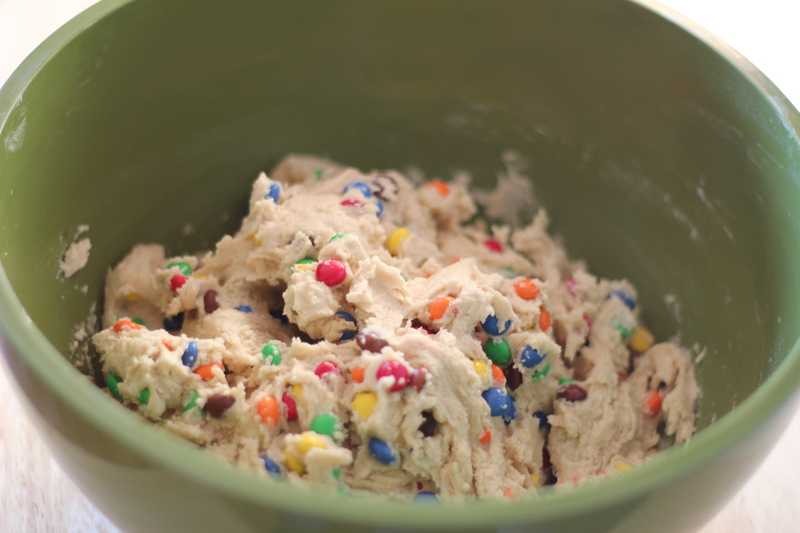 I find that this makes my cookies turn out fluffier, and less flat. I have a convection oven, so I chose to set it for convection bake for these cookies. I also used parchment paper on my baking sheet, which helps prevent the cookies from being overdone and also makes taking them off the pan, super simple. 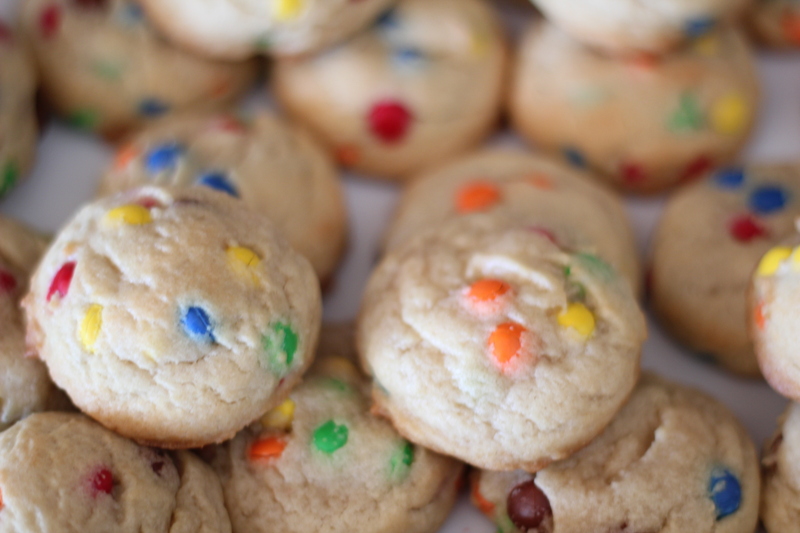 The cookies turned out SO delicious. I won’t tell you how many I have already eaten. 🙂 Happy Tuesday (and cookie-eating! )!